my dress is this one, and my shoes are these. 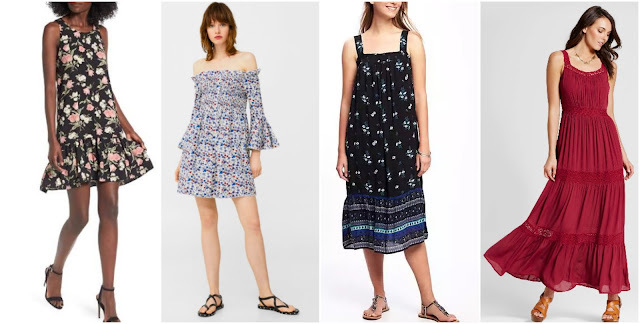 With all the showers, parties, and weddings summer bring, the need for a new dress (or... a few new dresses) can add up. I scoured the internet for tons of pretty dresses (and almost all of them are bump friendly!) that are all under $50. Go forth and shop! Super cute! 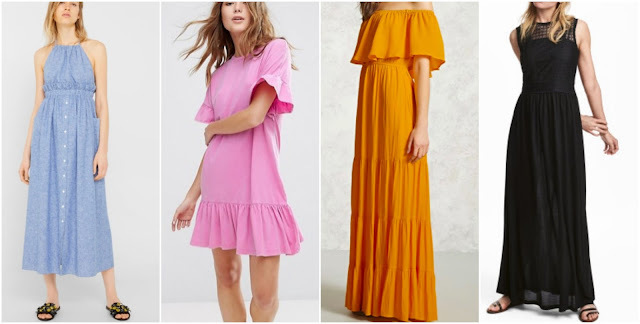 The off-the-shoulder ones are my fav! Love all of these dress selections. They're the perfect styles for summer AND fit my budget! Thanks for these fabulous yet affordable finds! Thank you so much for sharing. Such cute finds at a budget! Thanks! I was in desperate need of new dresses! Wear them almost daily at work in the summer!!!! I love that lace maxi. I've been only wearing dresses this summer to beat the heat. I love all the dresses you linked! I am obsessed with ruffles right now! I seriously love all of these! I love flowy, summery dresses, especially ones that are off the shoulder or have ruffles.